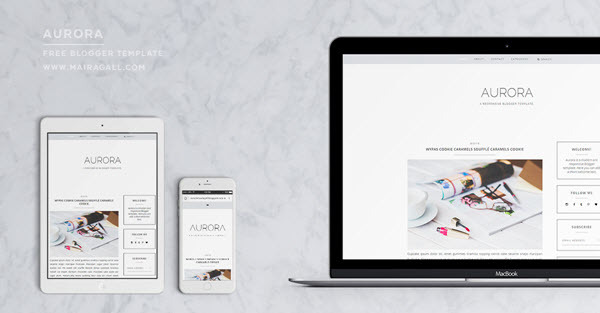 Description: Aurora Responsive Blogger Templates is perfect For Personal Sites, Responsive design, your blog will look great in tablets and phones. Compatible with Blogger template designer, you’ll be able to change fonts and colors. Responsive menu with dropdown categories/labels and search box.Social networks icons*. Photos will adjust to fit the post area. “Continue reading” button (not automatic). Automatic related posts at the bottom of each post. Share posts buttons. Back to top button.